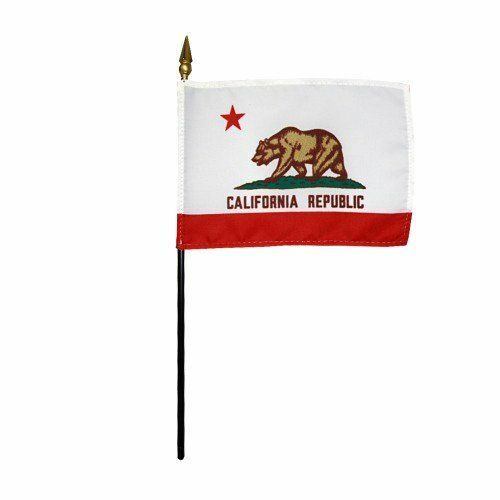 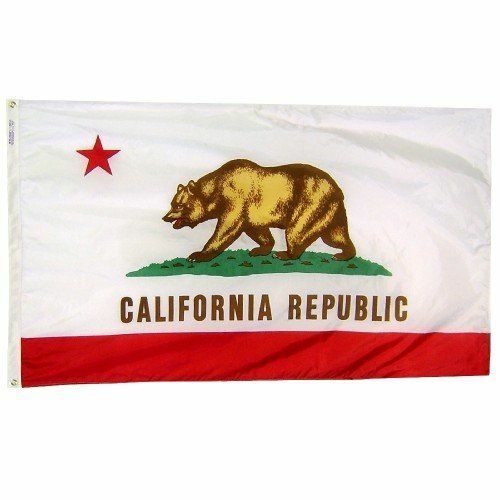 AmericanFlags.com is proud to carry California State Flags in a variety of materials, and styles, in sizes ranging from 4 IN X 6 IN to 12 FT X 18 FT. All of our California flags meet official specifications, are on sale right now and are ready for immediate shipping to your door. 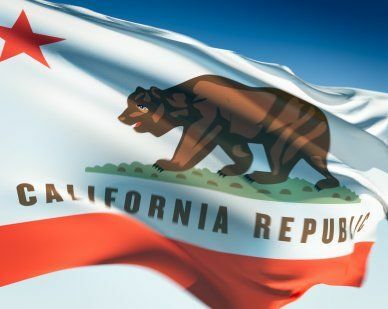 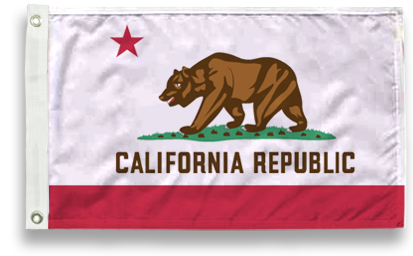 Often referred to as "the bear flag" for its depiction of the now extinct California grizzly - which is said to represent strength, the California State Flag pays homage to the Texas State Flag by featuring a lone star. 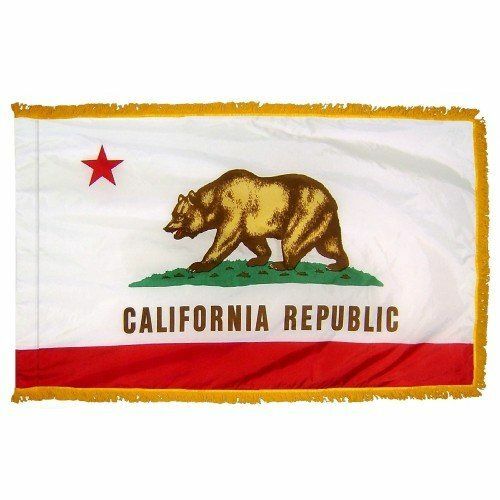 White, with a red stripe across the bottom and the grizzly bear facing left toward the hoist end, the flag also bears the words "California Republic."